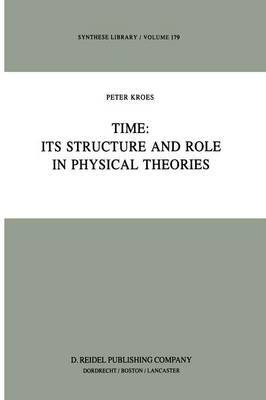 This book on the structure and role of time in physical theories addresses itself to scientists and philosophers intereste:'i in the 'no man's lard' between science and philosophy, in particular between physics and philoso- phy. The p:lint of departure is physical time, Le. time as usErl 1:[yen] physicists in their theories; but the analysis is not oonfined to a purely physical level but caries the problem into the domain of philosophical in- quiry. Altoough the book presupp:lses some knowledge of physics, I have avoided, wherever p:lssible, the use of advanced mathematics and technical details. Of all the people woo have been of help in writing this book, I w:>uld first of all like to mention Paul Scheurer and Guy Debrock who were my primary mentors in science and philosophy. This sttrly is a revision of my dissertation [Kroes 1982a] which I wrote under the stimulating guidance of Scheurer; many of the ideas ex- posed here have their origin in his w:>rk and were developErl in frequent discussions with him. Guy Debrock not only stimulated my interest in philosophy but also made valuable suggestions. Witoout any overstatement, I dare say that without their assistence, this book w:>uld never have been written. Furthernore, I w:>uld like to thank D. Dieks, J.J.C.